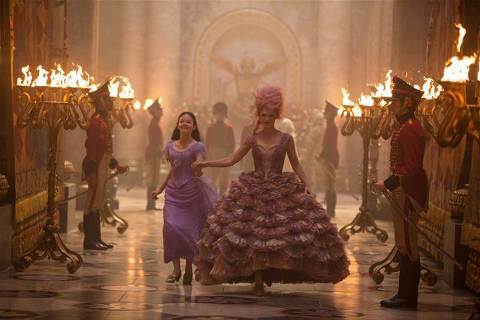 The Nutcracker and the Four Realms is Disney’s new magical tale to delight a new generation. THE NUTCRACKER AND THE FOUR REALMS opening in theatres everywhere November 2nd, and bound to take you an enchanted journey as you enter the blessed holiday season! If you’re like me, you cannot wait for Disney’s new film, The Nutcracker and the Four Realms!” The Nutcracker has always been so magical to me as I grew up a dancer and would dance around the the classic notes of the fantasy filled story. This film will bring new life to the Nutcracker and bless them with the magic that comes with the special holiday party, playful teacups, the dancing doll, and the silly bear. My daughter is now the age I fell in love with the film, and I took her to see the ballet last year. She LOVED it, and I loved sharing the experience with her. Here is Disney’s official trailer for The Nutcracker and Four Realms! I love that this telling of the Nutcracker is led by two female leads played by Clara (Mackenzie Foy) and Keira Knightley as the Sugar Plum Fairy. Taking challenges head on to find the key that will restore balance to our world. The story goes that there are four realms that hold our world in the balance, and Clara is given the important task of finding this fourth key that has been taken by the evil tyrant Mother Ginger (Helen Mirren). I fell in love with Kiera Knightley when she first came to screen on Pirates of the Caribbean, since then she has been a favorite of mine that I want to see in every film she is a part of! Did you know she was has starred in Broadway, West End theater products, and film? She was only 17!? I think the same talent is to be expected from Mackenzie Foy who is massively talented as such a young age as well. The Cast: Kiera Knightley, Mackenzie Foy, Eugenio Derbez, Matthew Macfadyen, Richard E. Grant, Miranda Hart, Sergei Polunin, Jayden Fowora-Knight, Omid Djalili, Jack Whitehall, Meera Syal, Ellie Bamber, Misty Copeland, with Helen Mirren and Morgan Freeman. 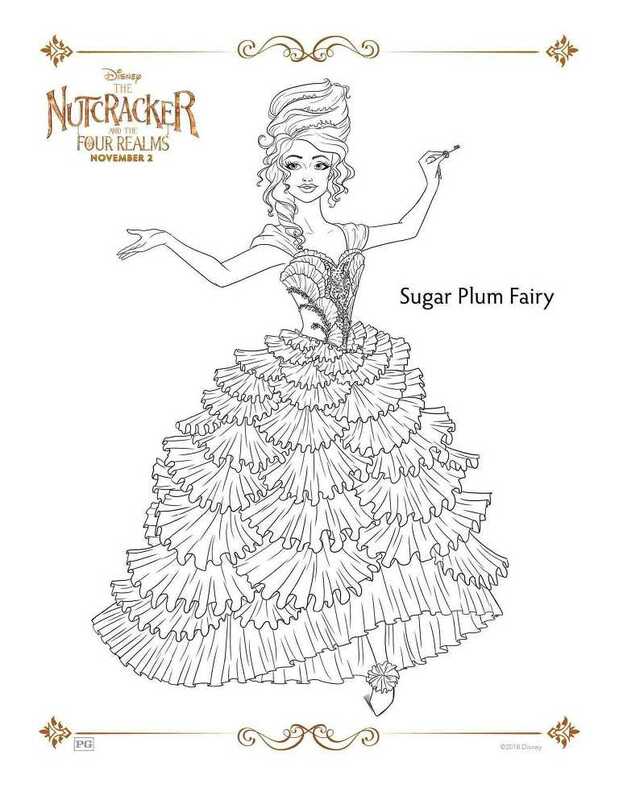 Click here to download the Sugar Plum Fairy. Click here to download the castle. Click here to download Phillip. Click here to download the maze. Click here to download the string maze. Click here to download the bookmarks. Click here to download battle with the soldiers. Click here to download Hawthorne. Click here to download the dancers. Click here to download Drosselmeyer. 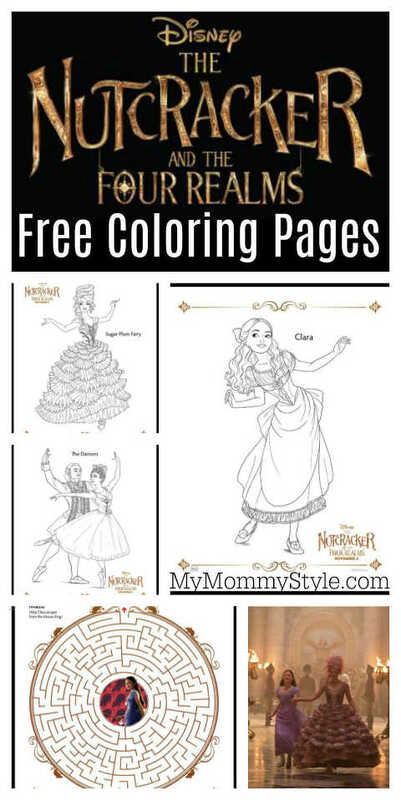 Click here to download Clara. Make sure to buy your tickets early to get the best seats and stay tuned for more Disney films coming soon! There are so many good ones coming this fall!